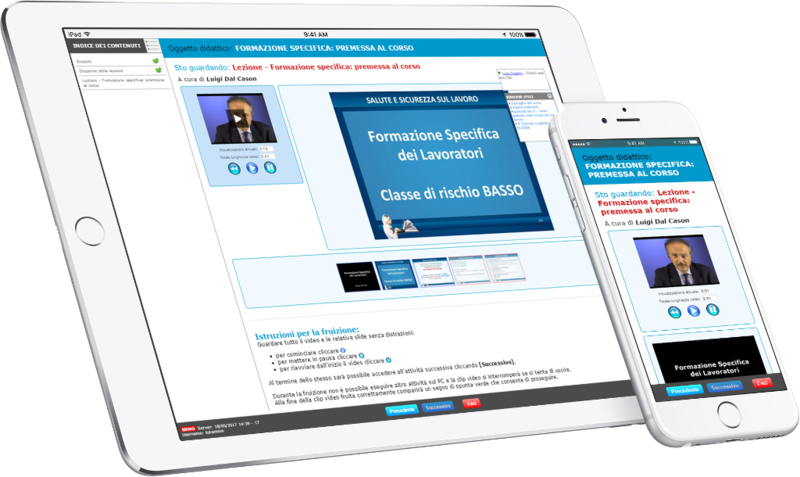 The DynDevice admin interface (responsive version) can also be used with all these devices: as an example, the clickable image shows the editing phase of a learning object (course editor) using an iPad. Since version 4.0 of DynDevice, the native apps for the Android and iOS platforms are also available, with which you can always keep your e-Learning platform at your fingertips, access them quickly, and receive personalized notifications. Thanks to the PWA "DynDevice OffP", learners can enjoy contents in offline mode, after downloading the related contents.